A flirting guest star, a wonderful myth, and some clues to what might be coming for the brothers. It added up to a fantastic episode all around. I love it when the Winchesters gets to go old school with their cases. Banshee! Screaming, evil banshee. It was a fantastic chance to delve into a myth that we hadn’t seen on the show before. As soon as the screaming started, I got excited. It was interesting how she chose her victims, the ones who were vulnerable, as that definition varied depending on who she was targeting. I would have thought the banshee’s screams would have been too much for the baby, as she clearly heard them, but I liked the way they handled the aftermath of the attack. I did temporarily wonder if maybe Eileen was the banshee in disguise, because a deaf banshee would have been an interesting twist, but I’m glad that she turned out to be not only a strong woman, but also a Men of Letters legacy and a hunter who continues on after the episode ended. Women and Supernatural, you know their frequent fate. It was great to see Dee Wallace as the guest star for the episode. Her character, Mildred, had just the right amount of humor and strength. The flirting with Dean was adorable, as were the signing conversations she had with Eileen. She prefers Dean because she’s too old to be a mountain climber anymore, haha! I like it when older ladies flirt with the boys. And I also liked that she tried to help guide him to the decision he needs to make. She and Eileen were great characters, and I would welcome seeing Eileen pop up again as the boys run into her on hunting trips. 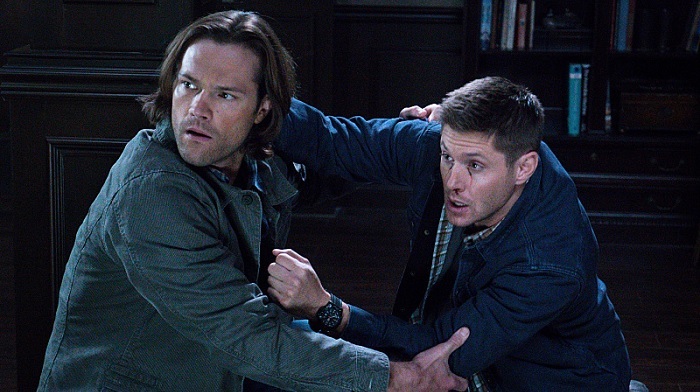 Poor Sam’s still messed up after his run-in with Lucifer, which is understandable. The fact that he’s actually talking about it, and Dean’s open to talking about it, shows how much they’ve grown. Let the openness continue, please. And he finally admitted that he regretted not looking for Dean while he was in Purgatory, echoing the feeling of many fans. But Dean’s forgiven him, so he has to forgive himself. I do fear what will happen when he learns that Lucifer is no longer in the Cage, and also that he’s inhabiting Cas. He’s a strong man, but it’s going to be a struggle. 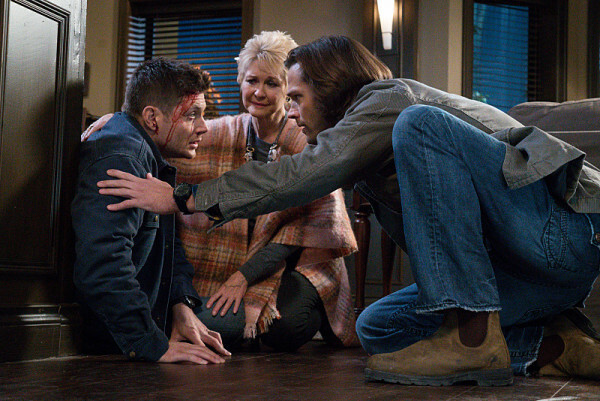 As long as he and Dean are together, they’re stronger, and perhaps they can both survive this. Dean needs some of that togetherness, considering where he’s at right now. The banshee deemed him vulnerable and that’s the truth. He’s not in a good mental place when it comes to Amara. Even Mildred recognized the bond he had with The Darkness, although Dean’s not going to admit it to his brother. 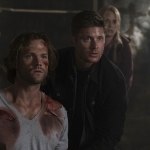 When they do find Amara again, I fear that it’ll be strike three on Dean’s part, at best. At worst, he might finally crack and join with her. It’s a scary thought. Also the fact that his vulnerability is known to Lucifer!Cas, who will surely use it against him in the upcoming fight. I love Lucifer!Cas, especially when he’s trying to pretend to be regular Cas around Dean. He just doesn’t care about anything that gets in his way. Angel with a blade? Turns into a bloody mess with just a snap of the fingers. He’s playing it with just the right balance of creepy and intriguing. 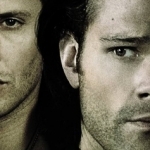 The Winchesters still don’t know the truth about him, but they’re suspecting something’s up. Maybe they’ll find out in the next few eps, but for now I’m loving just watching Lucifer!Cas exist. And when he gets to face off against Amara, it will be interesting, since she is essentially one of the reasons Cas was pushed to say yes to Lucifer. He is no longer expendable, or so he thinks. 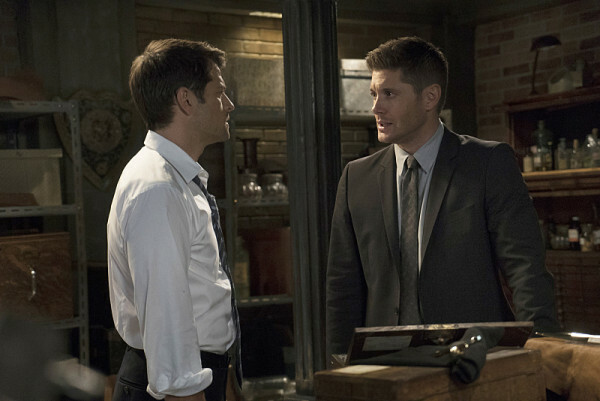 But when the final battle is over, will Cas survive? A lot of great teases of what’s to come. The Winchesters have much to look forward to, and the only way they will come out on the other side is if they stand firm together. It’s going to be a great journey for the rest of the season!